Intuitively designed to suit your personal needs, these spacious Hawaiian-style villas encourage restoration and rejuvenation in a picturesque island paradise that lends itself to golfing, hiking, horseback riding, biking, snorkeling, whale-watching, surfing and more. 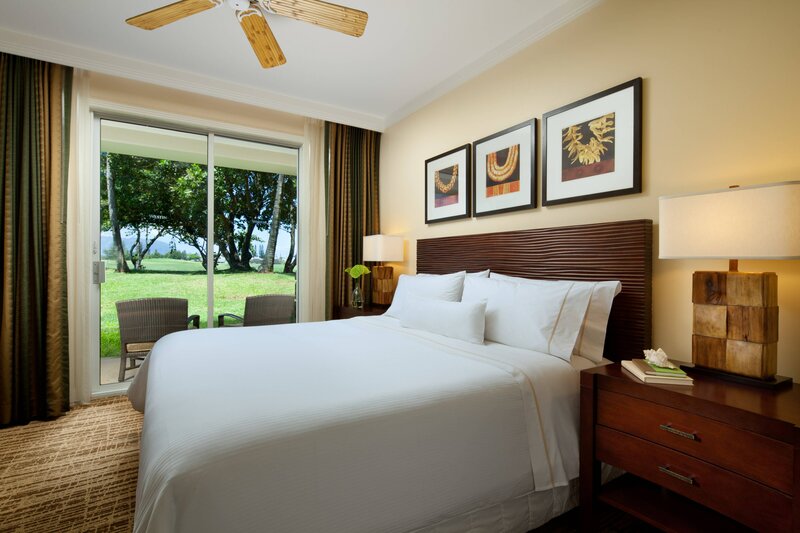 After an invigorating day of island activity, you will enjoy relaxing in a villa that boasts a Westin Heavenly® Bed, a generous private lanai, an LCD Flat Panel TV and other custom touches that are sure to enhance your extraordinary escape to Kaua‘i. Overlooking the stunning natural beauty of Kauai&apos;s North Shore from a private lanai, the epitome of relaxation awaits in the 799-square-foot One-Bedroom Villa.